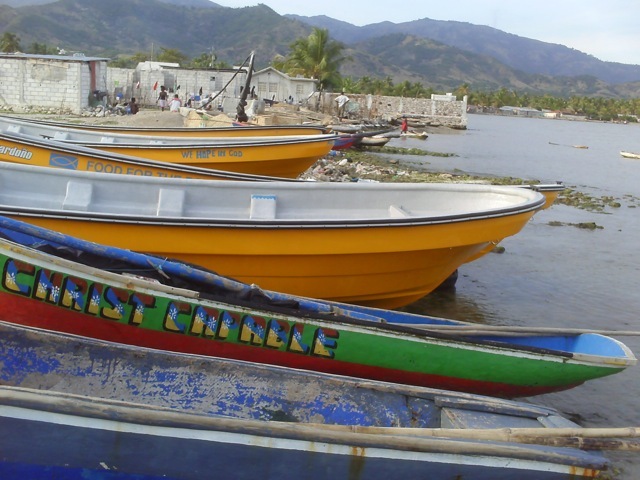 Relief Trip to Aquin | HURAH! 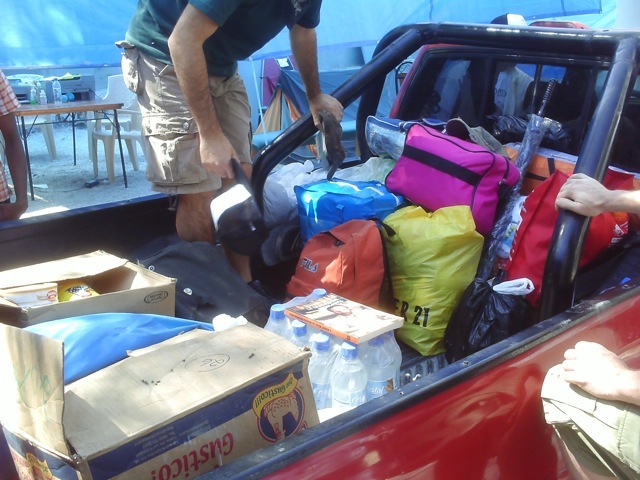 Two days after HURAH arrived in Haiti, the AUMOHD team, HURAH President Tom Luce and two Italian volunteers headed south to the town of Aquin to provide relief supplies to 26 families who were evacuated from Port-au-Prince, including the family of AUMOHD President Evel Fanfan. 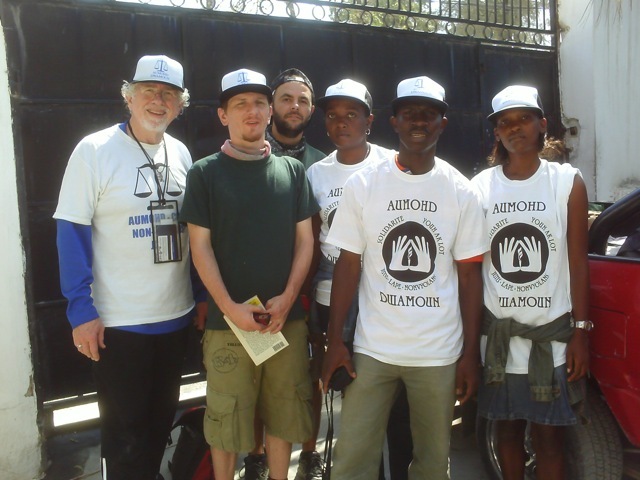 AUMOHD volunteers proudly wore the tees and caps HURAH provided as a symbol of solidarity and to promote the purpose of the trip. The AUMOHDMobile pickup is a godsend. The truck carried the relief supplies and four people in the back plus two in the rear seat for the long long 3-hour ride south. 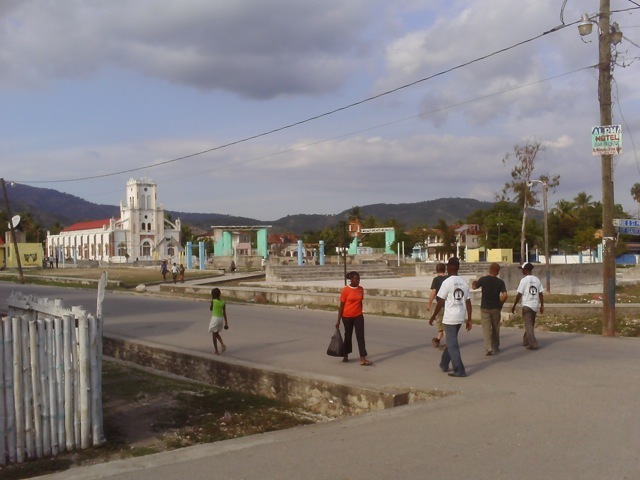 Below is the town square at Aquin, Haiti, with the St. Thomas Aquinas in the background. Even today, no one dares go inside for services, so they hold them outdoors. 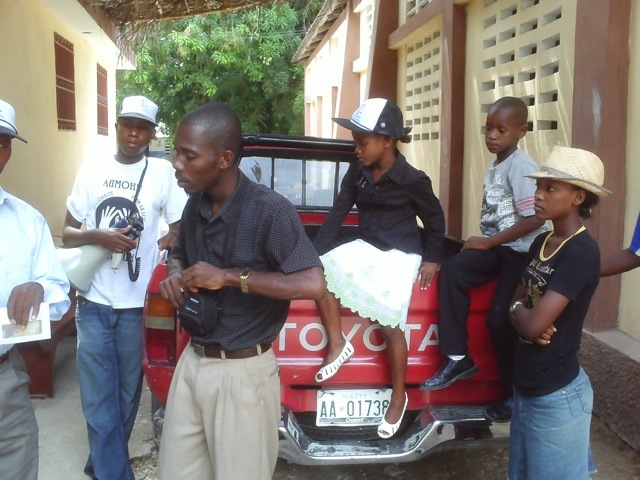 The southern region of Haiti is very beautiful and has great potential as an ecotourism center. Housing conditions and surrounding infrastructure are poor and undeveloped, but remnants of the old colonial architecture casts a certain charm. AUMOHD volunteers including Atty. Fanfan’s wife Cenia and relative stuff relief packages to be delivered to internally displaced persons. 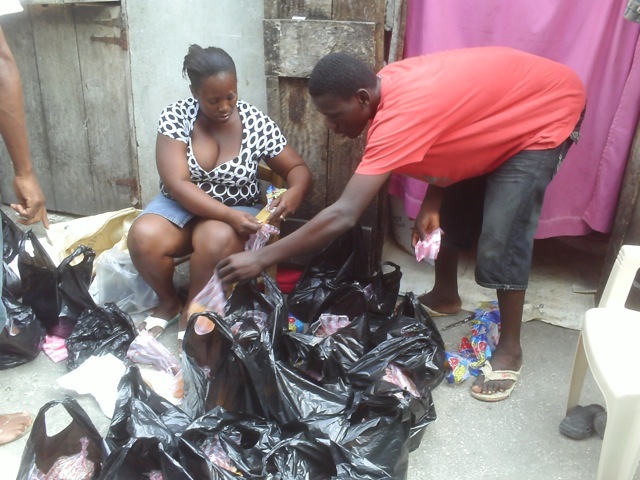 Each package contains rice and other staples plus some simple pharmaceutical supplies. AUMOHD delivers the packages to quake victims gathered at a Baptist church.